13 ½” X 19” serigraph print--contemporary design. 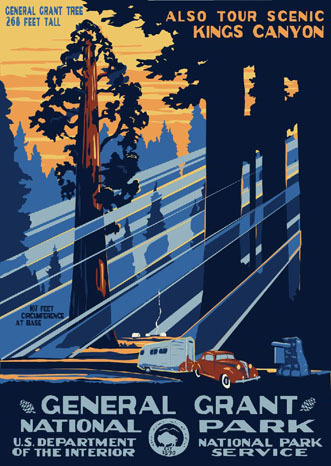 Now known as Kings Canyon and also adjoining (and co-administrated by) Sequoia, I chose a camping theme design for both parks--the General Grant featuring a 1937 Terraplane automobile pulling a Bowles trailer. 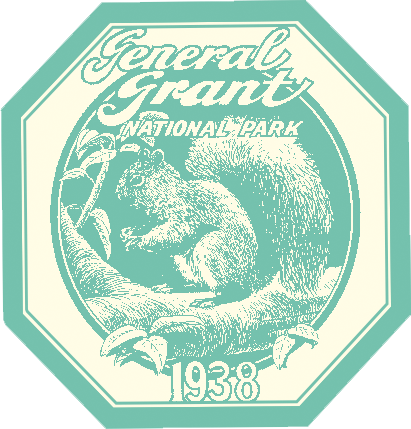 General Grant is one our oldest parks, created in 1890 to protect the General Grant Grove of sequoia trees from logging. 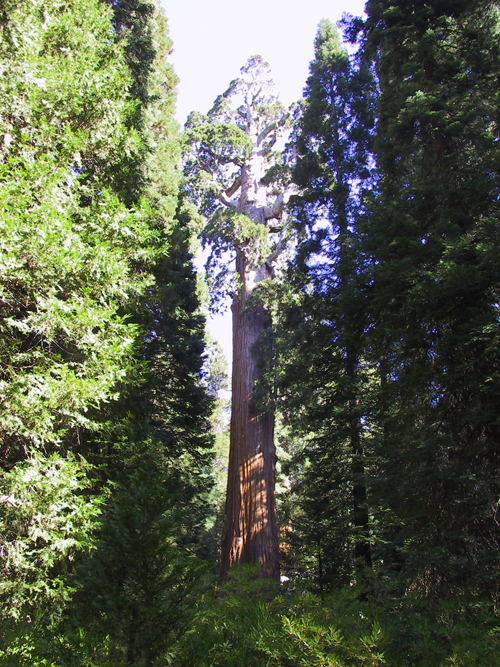 It was enlarged and renamed Kings Canyon, to include this largest canyon in the US, in 1940.